Sally, our creative director says "You would not put the wrong fuel in your car, so why put the wrong bulb in your lamp?!" Sally works on numerous interior design projects, where half the problem in a room is simply that the wrong bulbs are being used in her client’s lamps – so one of the first things she seems to do these days is to change their bulbs! It can be confusing. Sally advises trying a few different bulbs in your lamps to eventually create the right feel. Just look at our photo and you can see how different types and wattages of bulbs throw different degrees of light against a wall. All the lamp shades used were our Shallow Drum shades - made with identical fabric, colour, shape & size - however they look like different colours, because the different light bulbs used have affected the type of light being emitted. 1. Check you have sufficient lighting in your room (we believes you can never have enough) – look at your favourite images in magazines or Pinterest and count the number of lamps or lights you spot... there are usually loads! 2. Consider if you need functional or mood lighting – go higher wattage for functional and lower wattage for when you need that lovely, calming atmosphere. 3. Contemplate your wall colours. Dark walls and furnishings absorb all the wave lengths in white light, so you might find that a very low wattage bulb in a dark room will not give sufficient light compared to the same bulb in a room that is painted much lighter. So remember, great lighting creates an ambience and warmth that can totally transform your room. Why not think about layering your bedroom lamps the same way you would layer your bedding? 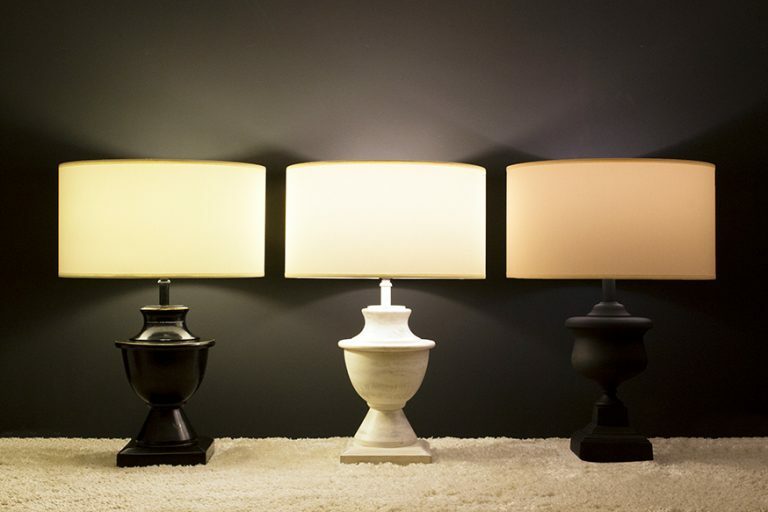 An extra lamp or two with the correct bulbs adds depth and interest to your special space. 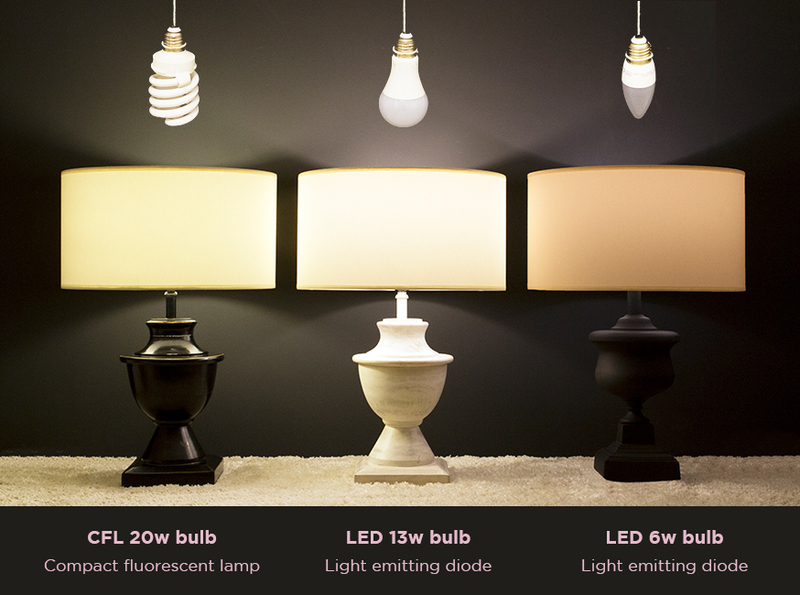 For further advice on which bulb where, you can email us at info@crumpleandco.com or give us a call on 01937 585577. P.s We didn’t want to get too techy... but in simple terms, brightness is measured in Lumens and the type of light (warm/cold) is measured in Kelvins.